This is the best value per square foot in Fairview! 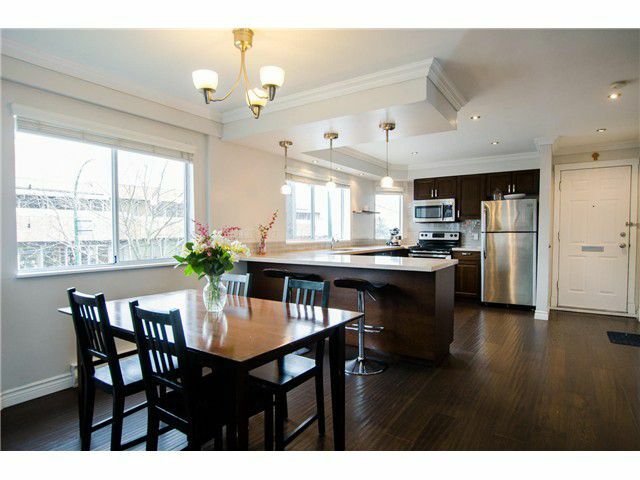 It is a bright and beautiful fully renovated 2 level townhouse! This home features an entertaining sized main floor with open kitchen and living space that has been tastefully renovated with quartz counters, stainless steel appliances, new light fixtures, crown mouldings and engineered hardwood flooring! Great sized bedrooms upstairs with brand new carpet including a huge master bedroom that can easily fit a king size bed! This well maintained 13 suite complex is just steps from Granville Island, the seawall and all that Vancouver has to offer! Comes with 2 parking and a storage locker! Priced well below BC Assessment value!